Communication is key. But with the myriad options out there, who knows what method is most effective to get the word out and get it heard? Of the most popular ways for businesses to communicate both internally and externally, emails and text messaging seem to prevail. But in choosing a specific communication strategy, text messaging is pulling ahead in terms of response time and effectiveness. Texting has become the go-to method for quick, direct communication since a text goes straight to the front lock screen of every intended recipient's phone. According to the Australian Institute of Business, communication plays several integral roles in effective business practices. Bottom line: The more we communicate, the more effective we are as a company, both inward and outward facing. Choosing the best method or combination of methods depends on your business and your business' client base. Whether you are looking for a business solution for internal or external communication, getting the word out in the most efficient, fastest way possible is crucial to effective communication. Email has been the preferred method of communication for the past two decades, according to Forbes Magazine. Most professionals spend about 6 hours a day sending and receiving 123 emails on average. Email is accessible in the office and out - thanks to laptops, tablets, and smartphones. To say it’s dying may be overstating it a bit. But the reality is beginning to set in for many organizations that email is becoming a less effective method for communication as other, more collaborative means (such as social media, conferencing apps, and mass texting for business) come into play. Email has become saturated and linear, creating a flood like, overwhelming feeling when new information comes in. Although it is still a popular tool for communication, texting is firmly taking a hold of a younger, more diverse community of users. So while email is still effective, and not going away anytime soon, other methods of communication are beginning to dominate, especially as our population ages. Over the next twenty years, texting and other communication platforms may well become the most prevalent electronic means of communication. In fact, texting is on the rise worldwide. Pew Research center surveyed 21 countries across the globe. 75% of cell phone users including poor nations like Indonesia and Kenya said they text. Texting is incredibly popular among cellphone users in poor and rich countries alike. 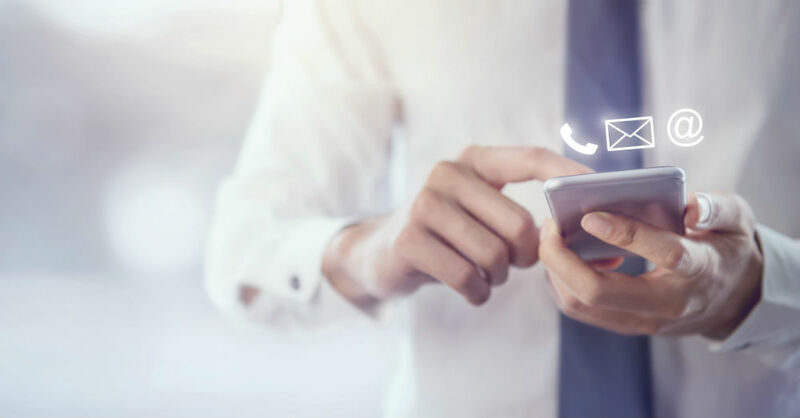 While the most comprehensive communication strategies include both email and texting, if only one had to be chosen, texting appears to be more effective at extending a broader reach. According to the VP of Sales and Marketing at Quora, a survey of 500 consumers revealed some helpful insights regarding email vs. text. “19% of people will click the URL sent in an SMS while 4.2% of people will click on URL sent on email. So while email is still very much ingrained in the fabric of our world’s communication structure, texting firmly has its place. Most users have dedicated spam folders and established filters for weeding out the grain from the chaff. With texting, most messages that come in at least get eyes on before being opened or ignored, with the former more often being the case. Email has become much like the mail we receive in our mailbox on a daily basis, whereas texting is much more like a shout from a neighbor - something hard to avoid or fail to at least acknowledge. As the demographics of our population changes, young people will age and bring their pervasive texting and social media mindsets with them, while a new generation of smartphone users will continue to use these platforms to communicate. While at present, email communication still holds a valuable place in overall communication campaigns, texting is quickly making its position known. Ignoring the value of text is like business communication suicide. Both platforms have their place. Email communication is important, especially when formal means are necessary to convey important information. Texting, being more informal, is a great option for reminders, due dates, and quick relays of useful info. But as times change, make sure your business communication strategy is changing too.